Action Trucks is one of the largest online retail eCommerce websites in our industry. 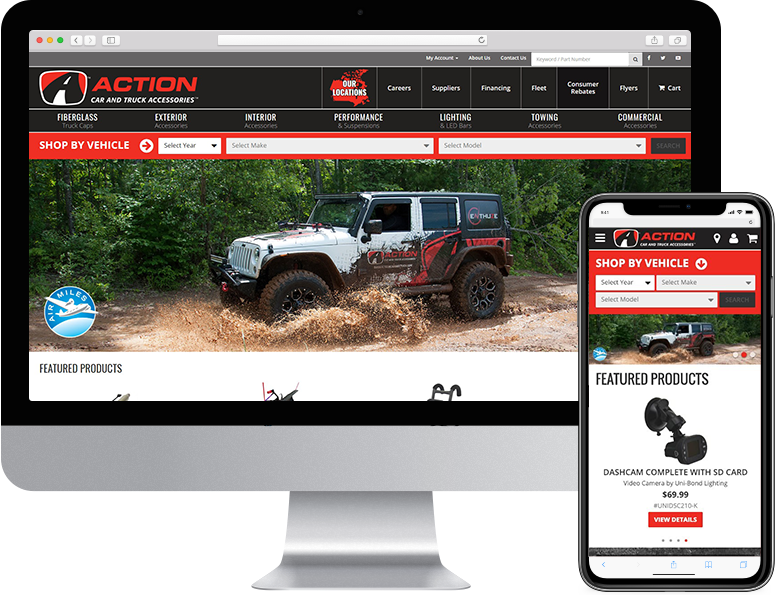 Based out of New Brunswick Canada, Action sells hundreds of reputable brands of car and truck accessories. Action Trucks requires an eCommerce partner that can handle the massive data needs of an online retail store and eTools is up to the task. 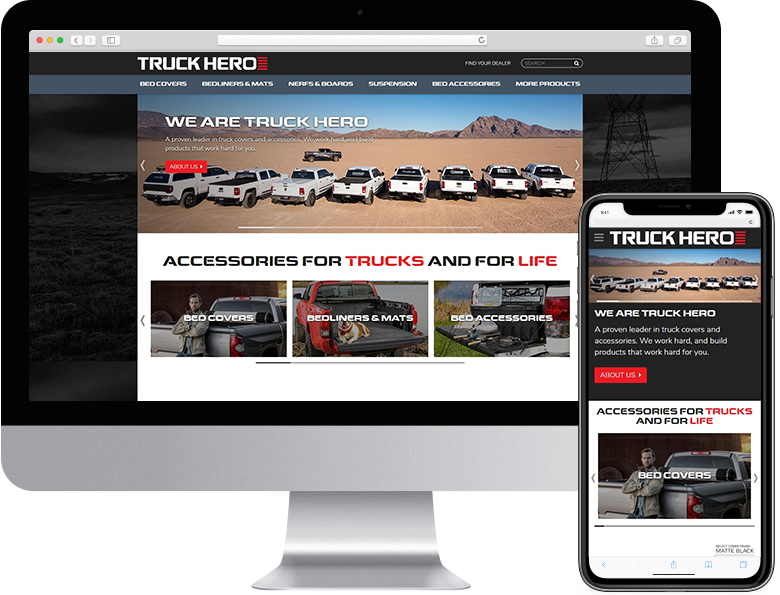 Partnering with eTool Developers in 2016, Truck Hero wanted a web company that could help them bring a one-platform software solution for all their brands. They found eTools! 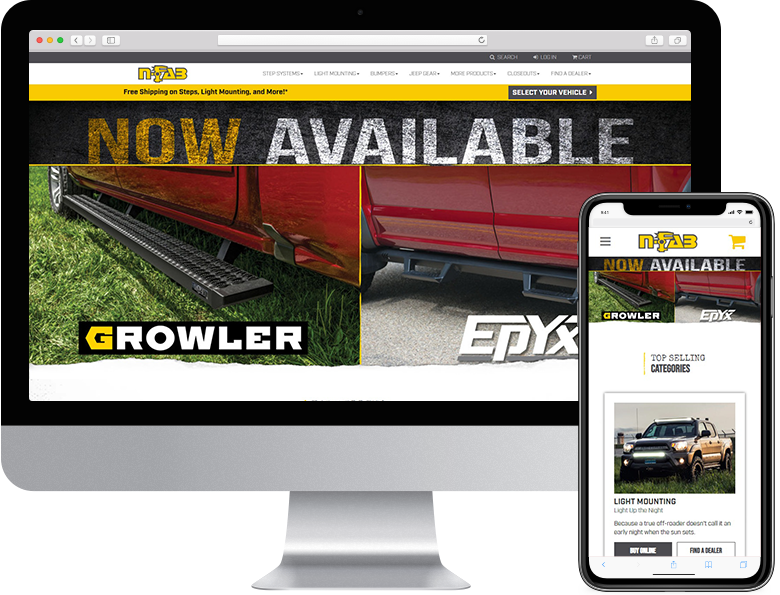 Owning several major brands such as Extang, Truxedo, Bak Industries, and A.R.E, Truck Hero is the #1 Truck Cap and Tonneau cover manufacturer in the Aftermarket. Superlift Suspension Systems (Truck Hero Inc), is a manufacturer of Suspension and Lift Kits for Trucks. 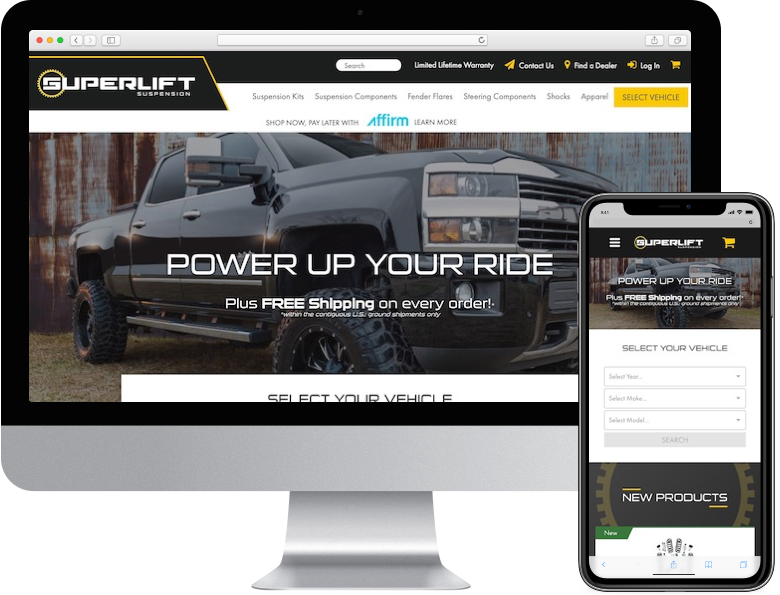 Superlift had several custom opportunities that we faced when building their latest website. We wrote an API to connect to Affirm, which is a very popular payment processing loan company. Superlift also utilizes custom shipping software so that they can ship heavy lift kits directly to their consumers. 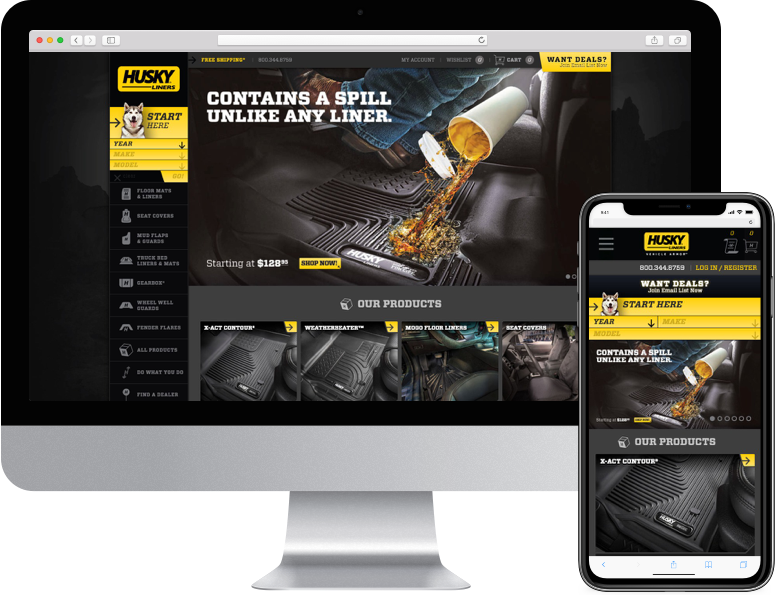 Husky Liners is one of our most successful websites and partnerships. Powered by eCMP and ePIM, HuskyLiners.com continues to be a front runner in the industry. eTools developed custom tools into the online shopping cart to track the conversion of shoppers to sales using Google Analytics. Mogo Automats, (owned by Husky Liners), is a luxury line of floor liners. After the huge success of HuskyLiners.com, Husky approached us to build them a modern, fresh website for their luxury brand. BAK Industries (Truck Hero, Inc), is a manufacturer of hard folding, rolling, and retractable truck bed covers. 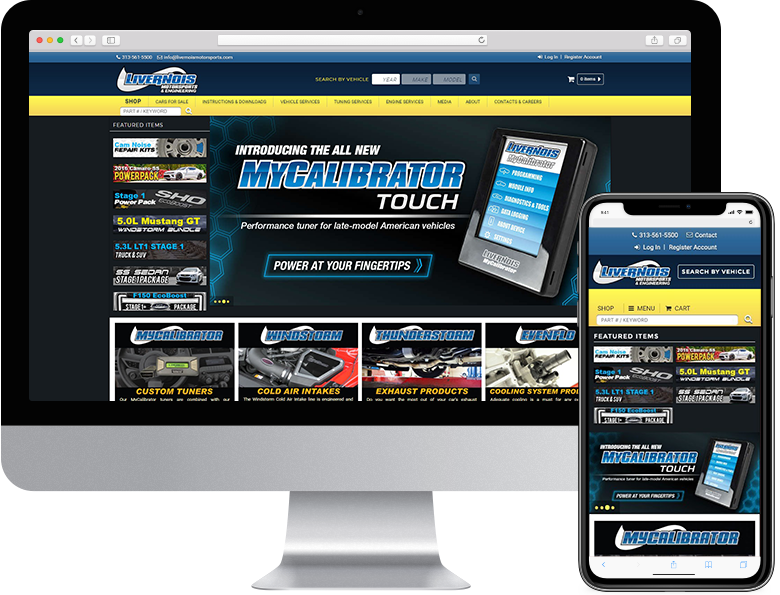 Their website includes a dealer locator, part number search,Year, Make, Model search, as well as a SKU drill-down. BAK continues to be an industry leader in eCommerce, powered by eTools. Bedrug (Truck Hero, Inc), is a next generation truck bedliner company. Utilizing the eTool Platform, Bedrug has a modern eCommerce website that is feature packed. Bedrug uses an Installation Library, an eCatalog viewer, and a Warranty Registration system that was custom built for them by eTools. 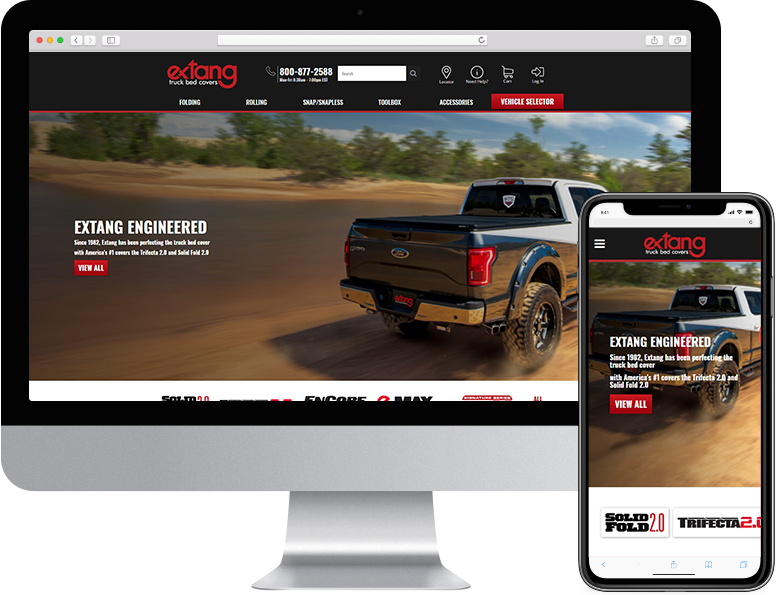 Extang is one of Truck Hero's most successful brands and uses eTool Developers’ Platform to sell one of the industry's most popular truck bed covers. 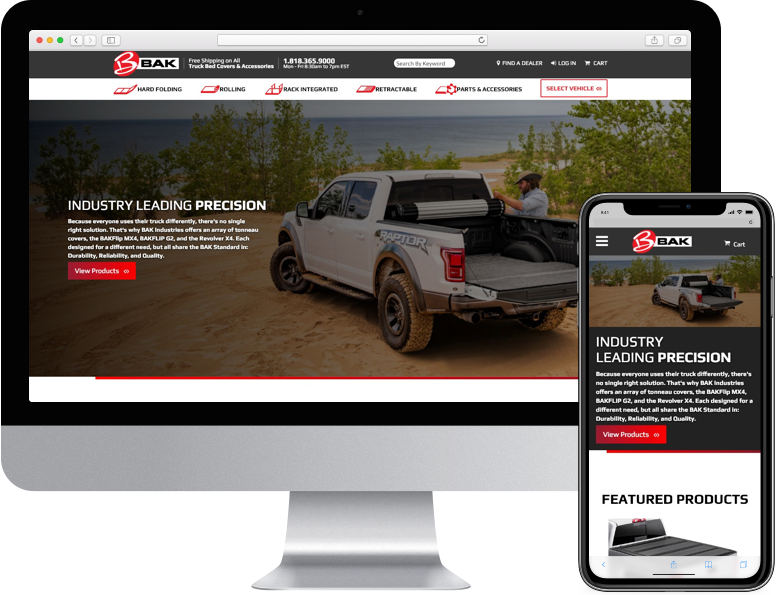 Known for their Solid Fold line, we worked with both off-road vehicle and Motorcraft fitment data to complete this site. 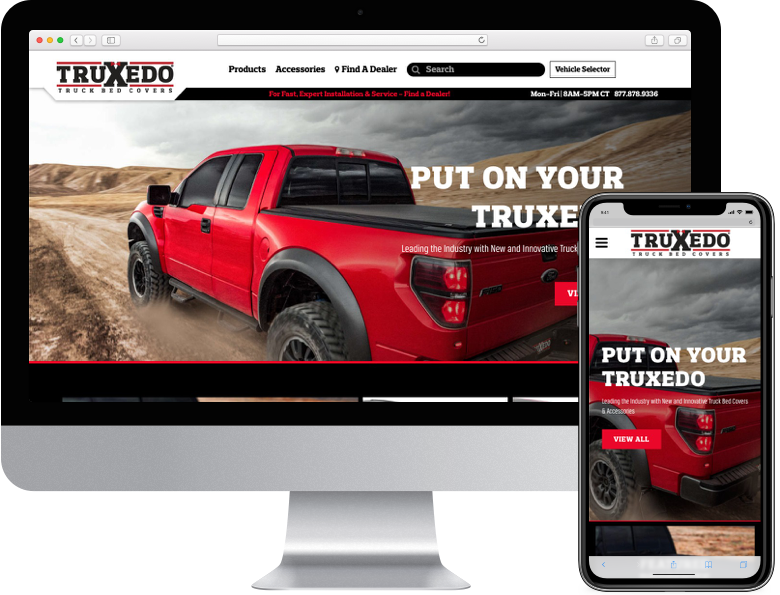 TruXedo (Truck Hero Inc), is widely regarded as one of the best manufacturers of roll-up Tonneau truck bed covers. In partnership with eTool Developers, Truxedo will launch new features later this year. Retrax (Truck Hero Inc), is a reputable brand of retractable truck bed covers. 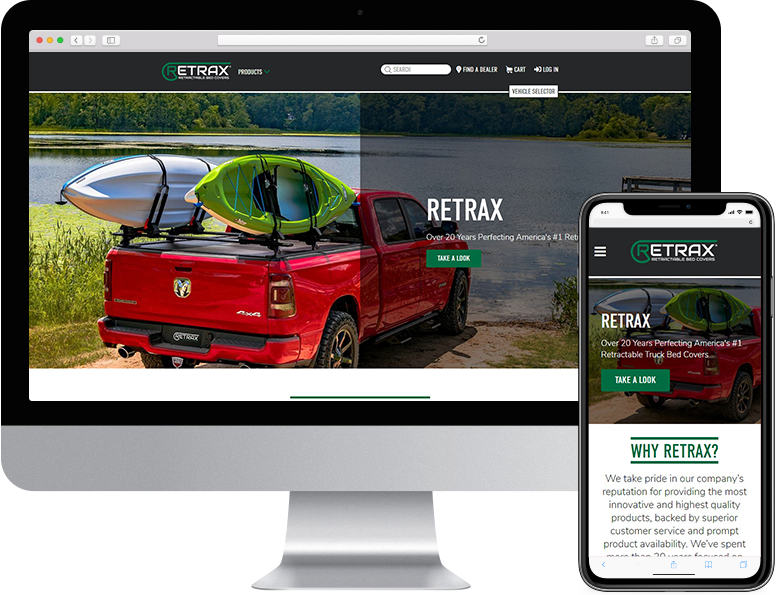 Powered by eTools, Retrax utilizes our companies’ best practices and features modern interactive design elements. 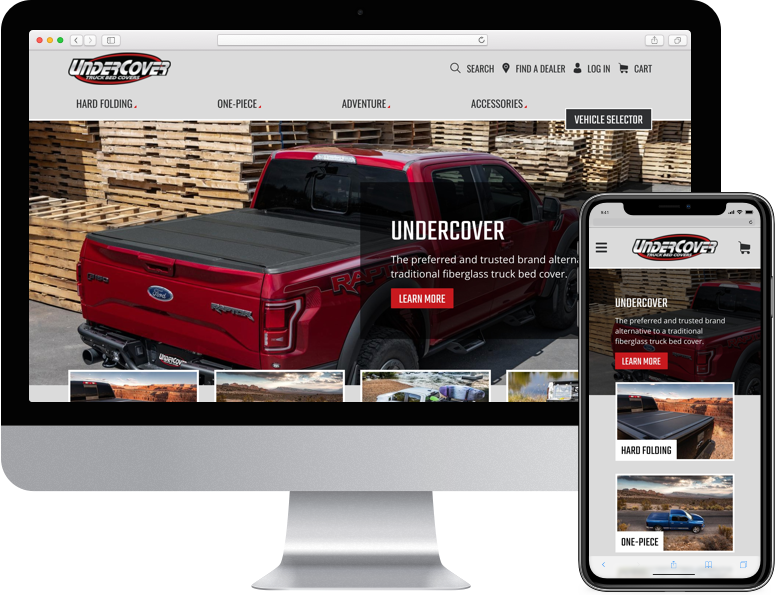 UnderCover (Truck Hero Inc), is a sleek and reliable hard folding and one-piece truck bed cover company. UnderCover requested eTools to build custom shipping software so that they can ship 75-pound, one-piece covers directly to their consumers. N-FAB (Truck Hero Inc), is a manufacturer of Step Systems, Lights, and Bumpers for Jeeps and Trucks. Utilizing the eTool Platform, N-FAB provides quality Truck and Jeep products directly to consumers. Westin Automotive is an Industry leader in Truck and Jeep accessories. 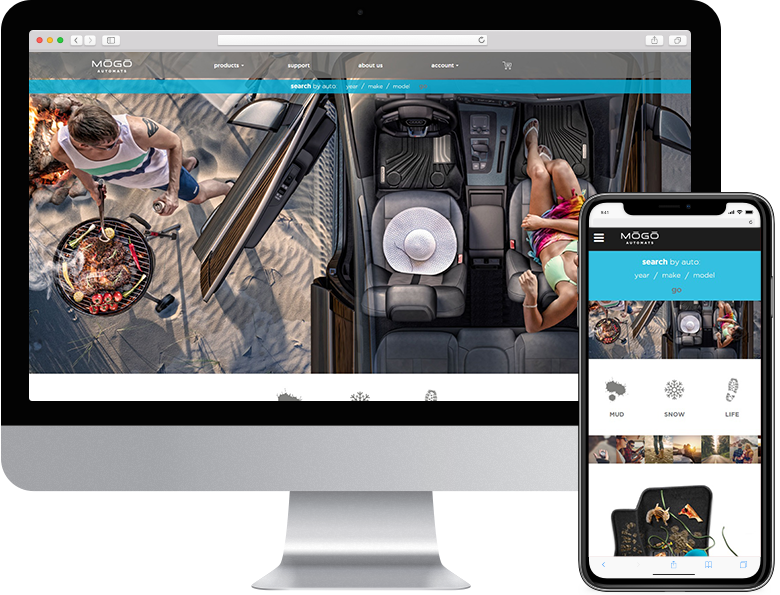 Westin approached us to help them take on their vision of creating a ground-up rebuild of their existing eCommerce site. 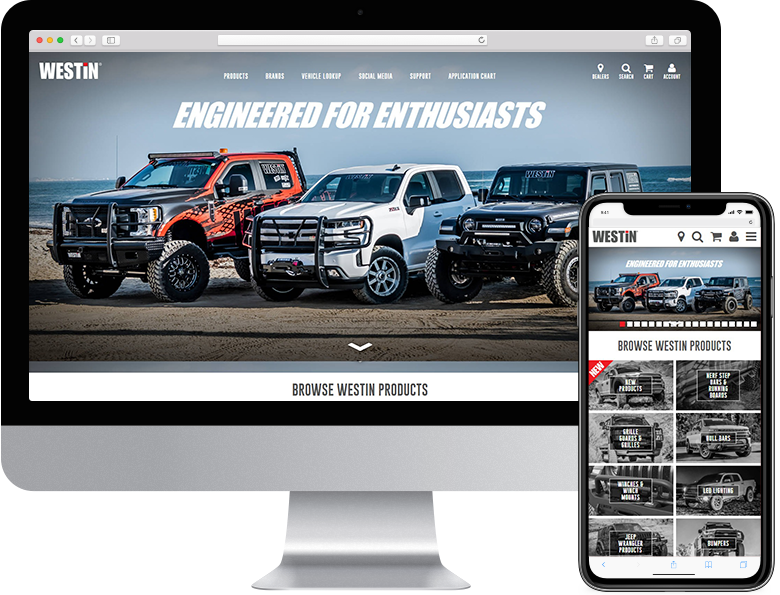 Tailored with custom B2B and B2C options, Westin Automotive has one of the most feature rich websites we have ever developed. Hedman Hedders and Hedman Performance Group have been a long-time member of the eTool family. Utilizing our ePIM data management suite, Hedman can easily import and export their product data to their trading partners with ease. 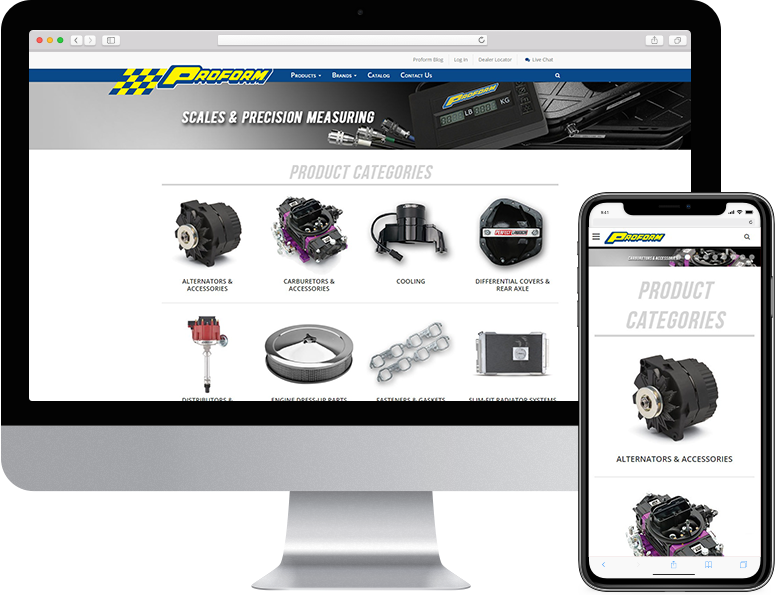 Proform and Specialty Auto Parts is a company that manufactures high quality alternators, carburetors, and custom racing parts for Ford, Chevy, and Mopar. Powered by the eTool Content Management Platform, Proform has seen huge success in its eCommerce and B2C transactions. 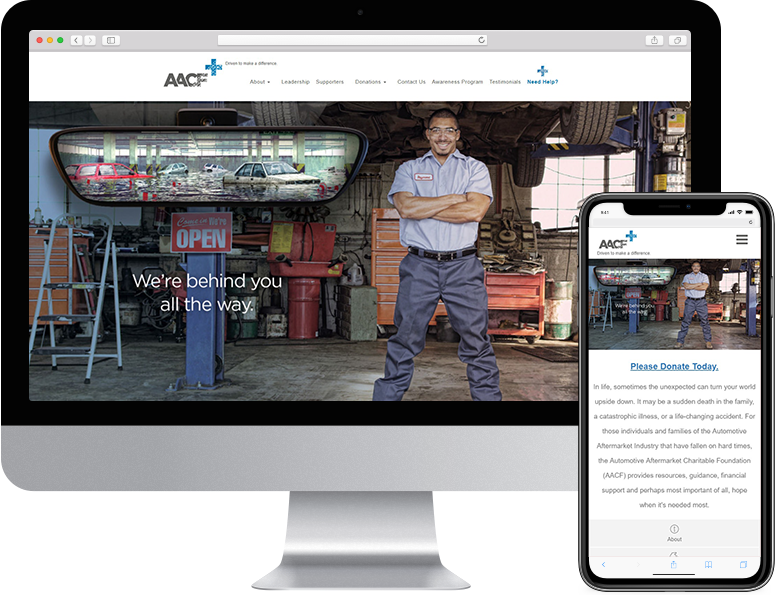 The AACF is a non-profit foundation that we have partnered with to help those in the Automotive Aftermarket who have come under hard times. All the work that we do for the charitable foundation is done Pro Bono. Contact them today to see how you can help those in need in our industry. 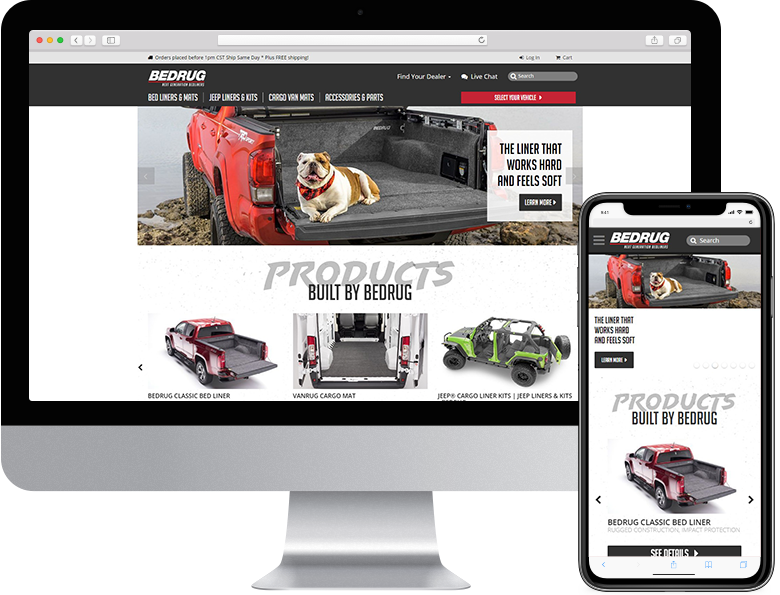 Go Rhino approached us with the need for a new website that relied heavily on an easy to use guided product search. Utilizing our eCMP management platform and our data suite ePIM, Go Rhino has had great success in both B2B and B2C eCommerce since partnering with us. 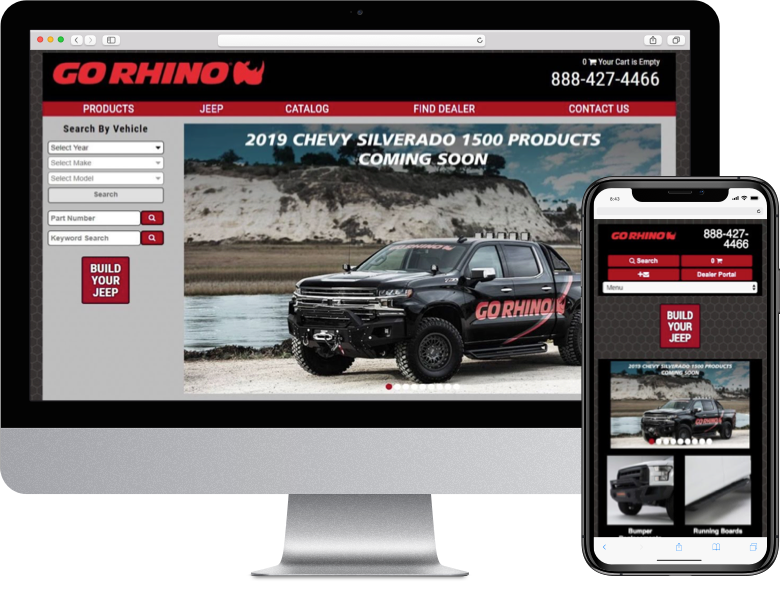 Big Country Auto, a sister company of Go Rhino, uses many of the same features and functionality we developed on the Go Rhino project. 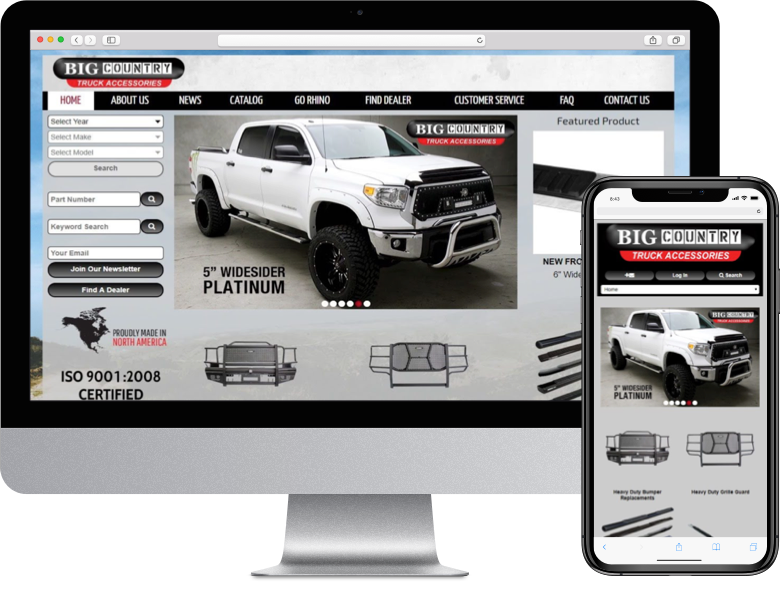 Utilizing their custom-made Dealer Portal, Big Country has become a well-known manufacturer of Truck Grille Guards and Running Boards. 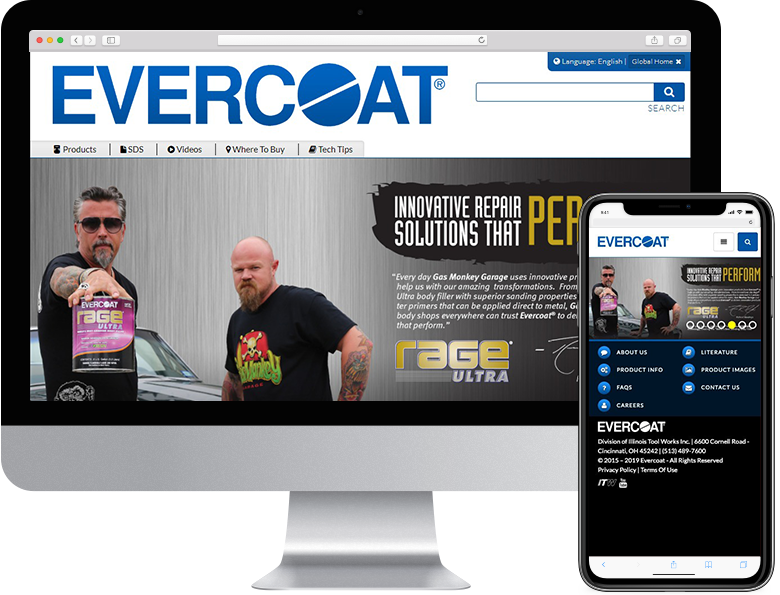 Evercoat is an industry leading manufacturer of adhesives, paint finishing’s and aerosols. They came to us with a unique challenge to develop a website in multiple languages, as well as an eCommerce system that sells and ships to over 100 countries worldwide. Located in the heart of the Motor City, Livernois Motorsports is a manufacturer of high-performance custom racing parts and calibrators. 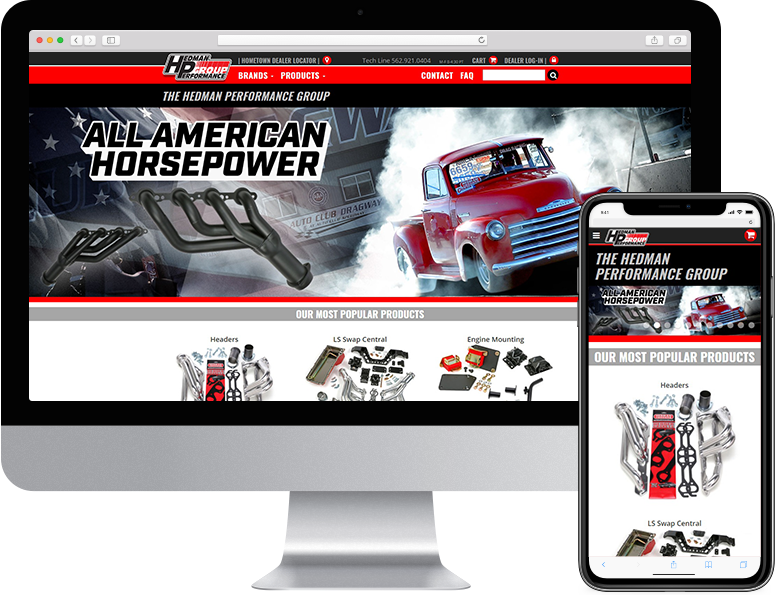 The new website was designed to enhance their brand and increase sales. Driven by PIES and ACES compliant data, their website has a large focus on B2C eCommerce. Agility and Majestic Auto Parts is a company that sells Fuel Pumps, Injectors and Modules. 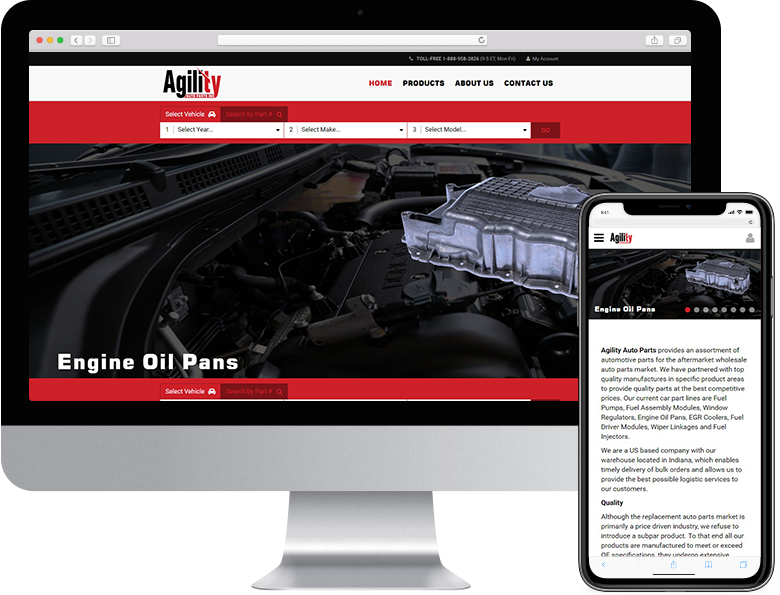 We partnered with Agility to increase their web presence, upgrade their eCommerce capabilities, and increase sales. Agility has plans to implement a B2B portal with us in the coming year.